One of the greatest tragedies about the debate revolving around the fate of Kashmiri Pandits is that the story of their pain and suffering has been communalized beyond imagination. Instead of objectively analyzing the causes and reasons behind the ethnic cleansing of Kashmiri Pandits following the outbreak of insurgency in the Valley, secessionists and nationalists, both have tried to tell only that part of the conflict which has suited their political interests. It is high time that the truth which has been tightly concealed by these political players is brought to light. The first and foremost thing which we need to realize is that the Kashmiri Pandits were indeed driven out of their homes in a very unjust manner. According to government statistics (Reproduced by Zeenews.com on 16th May, 2012) there are no less than 58,697 Kashmiri migrants in the country. It is understandable that many of them happen to be Kashmir Pandits who began to leave the Valley in large numbers starting 1989. The Hindu reported on March 24th, 2010 that 24,202 Kashmiri Pandit families moved out of the Valley due to tensions triggered by the insurgency. The penultimate question is what led to the exodus of Pandits? The secessionists pin the entire blame on Governor Jagmohan and exonerate jihadists from any role whatsoever in being responsible for the ethnic cleansing. The nationalists argue that it wasn’t Governor Jagmohan but rather Kashmiri Muslim jihadists who made living in the Valley equivalent to hell for Kashmir Pandits principally because of their Hindu identity and support for the Indian State. The truth of the matter is that the blame has to be shared between Kashmiri Muslim militants and Governor Jagmohan. Those secessionists and Kashmiri Muslim-sympathizers who say that militants were not hostile towards Pandits are being nothing but intellectually dishonest. Since 1991, homes of 32,000 Kashmiri Pandits have been burned in the Valley as pointed out by Rahul Pandita (20th July, 2013, OPEN). There is no question of absolving the militants of the barbarism which they carried out by terrorizing Kashmiri Pandits. The threat which the Kashmiri Pandits faced from the militants was real and not some propaganda being carried out by RAW or IB. We must also realize that the manner in which Governor Jagmohan handled the entire situation was dismal and it only aggravated the crisis. Some narrations state that the exodus had already begun by the time he took charge but when a large threat looms over a certain section of people, the government’s job is to ensure their safety by strengthening security measures. Their confidence needs to be rebuilt and the government should exhort them to act with valour and confidence in the moment of crisis. Instead of doing this, Governor Jagmohan created a panic like situation in the Valley and facilitated the exodus of Kashmiri Pandits by providing them with transport vehicles to move out of the Valley. This was the monumental error on the part of Governor Jagmohan. He may have had no intentions of fuelling the exodus but his mismanagement of the entire conflict will never be forgotten or forgiven. Another lie which is frequently told in the name of Kashmiri Pandits is that they have been the sole sufferers of the insurgency. Those who say this are basically communalists who love to rip the society apart on the basis of religion. All communities living within the Valley have suffered due to militants and terrorism. 36 Kashmiri Sikhs were killed in a brutal manner on 20th March, 2000 in the Anantnang district of Jammu & Kashmir. 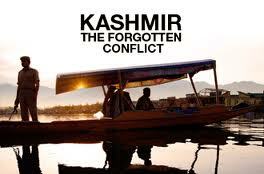 The Indian Government puts the number of civilians who died due to the conflict in Kashmir at 20,000 (Reported by Reuters.com on 21st November, 2008 in an article titled “India revises Kashmir death toll to 47,000”). The Government of Jammu and Kashmir has revealed that 219 Kashmiri Pandits were killed by militants between the years 1989 to 2004. It further stated that no killing of Kashmiri Pandits was recorded after 2004 (“219 Kashmiri Pandits killed by militants since 1989,” The Hindu, 24th March, 2010). Statistics show that far more Kashmiri Muslims have died due to the conflict than Kashmiri Pandits as the total death figure of civilians is at 20,000. This punctures the communalist’s claims of the Kashmiri Pandits being the sole sufferers in the Valley. Those who love to communalize this issue also try to portray that only Kashmiri Pandits exited the Valley and following their removal, Kashmiri Muslims lived with great joy. Statistics show that by 2010, there were 13,917 non Kashmiri Pandit families who migrated out of Kashmir because of the violence out of the total 38,119 families registered with the Revenue and Relief Ministry. Some people raise the rhetorical cry of Kashmiri Pandits being relegated to refugees in their own country. While their anger is justified considering the fact that Kashmiri Pandits have still not returned to the Valley nearly 25 years after their exodus began, their selective narration of suffering is indeed very dangerous. There are various other states where large scale displacement has occurred frequently and people have lived in refugee camps for a long time. The Amnesty International stated in 2012 that at least 21,000 persons were living in transit relief camps even a decade after the 2002 Gujarat riots (“Gujarat Riot Victims Still Await Justice,” The Hindu, March 2nd, 2012). Following the Assam riots in 2012, lakhs of people were forced to live in relief camps. After the riots, some of the Bodos refused to allow Bengali-speaking Muslim migrants to come and live in their villages. Some of the Bodo leaders were firm upon their decision to first see the citizenship papers of the refugees. The refugees on the other hand claimed that they had lost all their belongings and documents in the arson caused due to the riots. They opined that this was a conspiracy by some Bodo groups to rob them of their land and homes. English magazine Frontline did a cover story on Assam riots following the mayhem in 2012. In that report, it document that several such exodus’s and mass displacement of people had taken place in Assam during the past two decades. The point is simple; several groups have suffered and made to live as refugees in India due to the negligence of the State. By calling Kashmiri Pandits the lone refugees, political opportunists are playing with fire. It is true that the Government of Jammu and Kashmir has made the rehabilitation of Kashmiri Pandit families a part of state policy but it has failed to effectively bring back the Pandits to their deserted homes. By and large, Kashmiri political heavyweights have forsaken the fight for Kashmiri Pandits. While there are massive agitations in Kashmir whenever Kashmiri Muslim youth are murdered illegitimately by the Indian army, there have been little or rather no agitations held in solidarity with the cause of Kashmir Pandits. Secessionist leaders like Yasin Malik and Syed Ali Shah Geelani have only given token statements demanding the return of Kashmiri Pandits to the Valley. Kashmiri Pandits avail of a facility which no other internally displaced group of people has in India. They are entitled to reservations under Kashmiri Migrant quota. Unfortunately, this quota has also been communalized. Right wing groups have protested in the past against Kashmiri Muslims getting admissions in educational institutions under the Kashmiri Migrant quota. Nevertheless, Kashmiri Pandits are scattered in different regions of India and are among the wealthiest refugees or internally displaced people. Time and again, some subversive forces have utilized Kashmiri Pandits as strategic assets. While they claim to sympathize with them, they are not interested in rehabilitating them as it would lead to the death of their politics. Also, if Kashmiri Pandits are resettled in the Valley, the clamour for a plebiscite to determine the fate of Kashmir would grow. A plebiscite cannot take place in Kashmir until and unless the original demographic ratio is not arrived at. Political forces have taken contrasting stands on the issue of Kashmiri Pandits and their position is in alignment to their political interests. Lastly, the exodus of Kashmiri Pandits has also led to rise of the idea of Panun Kashmir. Panun Kashmir as an organization was formed in 1990 by some Kashmiri Pandits. Their solution to the Kashmir problem is a communal one as they are asking for creation of a separate homeland for Kashmiri Hindus in the Valley. This idea is bound to fail and trigger greater commotion because it is in absolute proportion with the original demand for Pakistan. The creation of Pakistan did not lead to safeguarding of minority rights in India or Pakistan then how will the creation of Panun Kashmir lead to safeguarding of Kashmiri Pandits who are a minority in the state? Partition cannot be a solution because total population exchange is not a possibility. Some will always be left behind and be treated as slaves. This entry was posted in India, Politics and tagged Article 370, Governor Jagmohan, Hindu-Muslim Unity, Kashmir, Kashmir Azaadi, Kashmiri Militants, Kashmiri Muslims, Kashmiri Pandits by Saif Ahmad Khan. Bookmark the permalink.